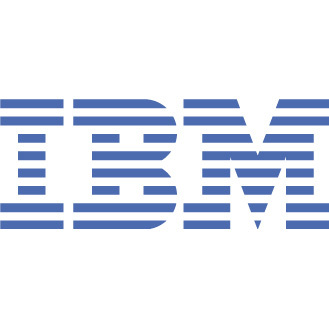 IBM announced today that its entrepreneur programme is gaining momentum in South Africa, driving innovation in the South African start up community. This programme has helped produce a new vehicle alert system and mobile application called “Road Buddy”. A first of a kind road safety concept, the system and mobile application are intended to address the growing need for a more proactive approach to road safety for road users. Designed in collaboration with engineers at the Council of Scientific and Industrial Research (CSIR) and developed by some of Cape Town’s best software designers, Road Buddy, (download here: http://www.apple.com/itunes/affiliates/download/) works by transmitting warning signals from more vulnerable road user like cyclists, motorists, joggers, emergency vehicles and pedestrians, to motor vehicle, trucks, emergency vehicles and busses. The unique aspect of Road Buddy is that it’s designed to facilitate a global send- and -receive warning system to road users anywhere in the world. This system is built on new cloud computing technology that enables the company to offer the service on a global scale, and not be limited to a single country or geography. Globally road traffic accidents take the lives of nearly 1.24 million people every year, and injure 20–50 million people, making them one of the top three leading causes of death globally. Statistics in South Africa show that 10 845 road accidents are fatal and result in R307 billion or 7.8% estimated cost to the economy per annum. Without action, road traffic accidents are predicted to result in the deaths of around 1.9 million people annually by 2020. The Automobile Association (AA) in South Africa says at least 40% of all fatalities and injuries are pedestrians, cyclists, and motorcyclists making them the most vulnerable road users. Road Buddy was conceptualised in 2006, by local entrepreneur Werner van der Westhuizen, of EMEWS Vehicle Warning Systems. The company’s launch iteration of Road Buddy addresses the principle of prevention. “Imagine if there was a way that you could be warned that someone riding a bicycle was approaching your car before you could see them, or that an ambulance was approaching at top speed with a critical patient. This is what Road Buddy does.,” says van der Westhuizen. The technology powering this solution enables the dynamic transmitting services and a range of other commuter services designed to help the commuter be more proactive in the urban commuting system. Together with Google maps technology Road Buddy allows for users to send SOS stress messages to selected friends and family members creating responsiveness to emergency situations. “We decided to partner with IBM, via the programme, to bring this new technology to market and support the ambition to take this global. The opportunity exists to save lives and that’s totally invaluable. If the by using this app we all become a little more aware, a little safer then we have succeeded.” says van der Westhuizen.